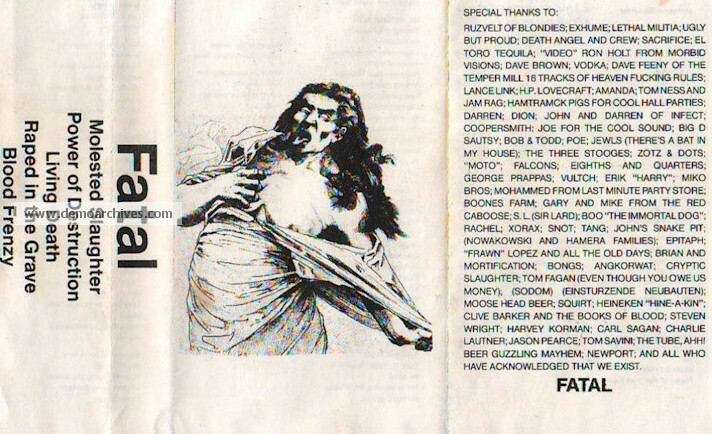 Formed in Detroit in 1986 by long time friends Tony Hamera and Mark Nowakowski, Fatal was to become a staple in Detroit's extreme metal scene for the next 5 years. 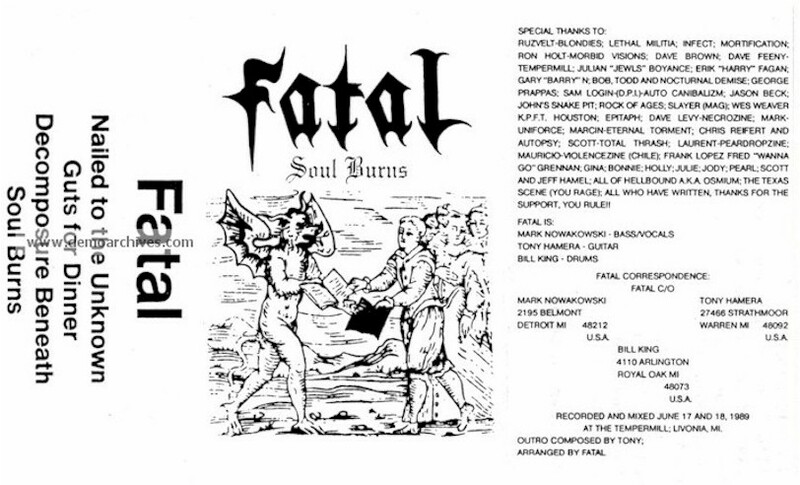 Fatal released three demo tapes - Guts for Dinner, Fatal (also known as the Molested Slaughter demo), Soul Burns, and one 7" single called A Somber Evocation of Nihilism. 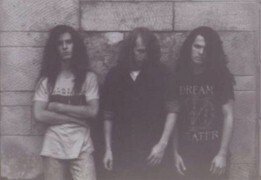 Performing with such legendary genre bands as Sacrifice, Cryptic Slaughter, Coroner, Death, Pestilence, and Morbid Angel, Fatal was to play their last show in September 1990. Regular cover and black tape. Lyrics on back.